You have just made what is likely the smartest financial decision of your life. You are also going to receive a million-dollar trading education that could make you wealthy for the rest of your life. I have read and agree to the terms and conditions as detailed on this page. Firstly: It’s extremely important that you know and understand that trading any financial market involves risk. Please be aware then that the contents of this website are neither a solicitation nor an offer to Buy/Sell any financial market. Please consult our Earning disclaimer in this regard also as well as all the notices on our site. 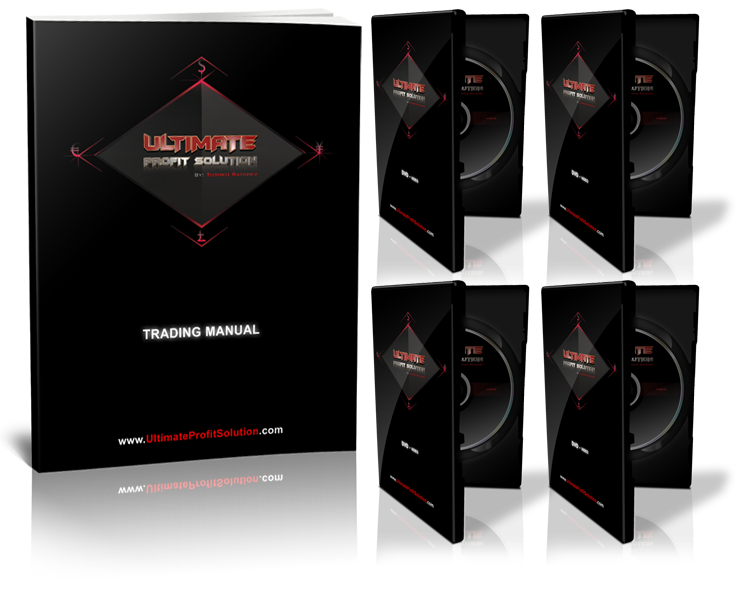 It’s also really important that you understand that the contents of the website www.ultimateprofitsolution.com or any subsequent site replacing same, newsletters and emails, any product and materials you'll receive and any member's area and information received by way of any communication from or between us, are for general information and educational purposes only. By using this website or using/viewing any part of this website and purchasing any course or product, you agree to the terms of this agreement. Trading carries a high level of risk, and may not be suitable for all investors. Before deciding to trade, you should carefully consider your investment objectives, level of experience, and risk appetite. The possibility exists that you could sustain a loss of some or all of your initial investment and therefore, you should not invest money that you cannot afford to lose. You should be aware of all the risks associated with trading, and seek advice from an independent financial advisor if you have any doubts. We receive unsolicited testimonials periodically. Once we receive the testimonial, we email the individual and ask if we can have their permission to add and use their testimonial. Unless we say otherwise, we have no connection to the person giving the testimonial. Where we do have a material connection to the person we will clearly state the connection. Please remember that any testimonials on the site are not indicative of future performance or success. We are not implying that these results can be generally expected or achieved by anyone. In fact it’s important to realize that there is a substantial risk of loss associated with trading Forex. We'll tell you more somewhere below this. By the way, in the interest of full disclosure, because we have nothing to hide, we cannot say that these testimonials are representative of all users and at all times for any user. People who send testimonials tend to be happy with the product at the time they sent the testimonial but their experience may change over time. We try to be as transparent as possible at all times. We would never mean to say or pretend that any account or trader will or is likely to achieve profits or loses similar to those discussed on this website. Each person may have different results. In fact, it’s pretty certain they and you will not have similar results and there are frequently sharp differences between hypothetical performance results and actual results subsequently achieved by any particular trading program. So the saying "Past performance is not indicative of future results" really holds true here. One of the limitations of hypothetical performance results is that they are generally prepared with the benefit of hindsight. Also, hypothetical trading does not involve financial risk and that’s why no hypothetical trading record can completely account for the impact of financial risk in actual trading. For example: the ability to withstand losses or to adhere to a particular trading program in spite of the trading losses are material points, which can also adversely affect trading results. There are a lot of other factors related to the market in general or to the implementation of any specific trading program which cannot be fully accounted for in the preparation of hypothetical performance results and all of which can adversely affect actual trading results. Although we make every attempt to assure accuracy, we do not give any express or implied warranty as to its accuracy. What we are saying here is that we do not accept any liability for any error or omission. You'll see we have examples posted now and again. These are for illustrative purposes only so please do not be construe them as investment advice or strategy. We would love for you to subscribe to our mailing list, use the website or becoming a member. Remember that by doing any of these you will be deemed to have accepted all the terms of this page in full. Here's another thing and it’s very important to know: Alaziac Trading CC and any of its nominees (“AT”) and Toshko Raychev, the website and its representatives, partners, directors, members, owners, agents, employees, contractors, including our product developers and authors, do not and cannot give investment advice or invite customers to engage in investments through this website. We or any of these persons mentioned above, are never to be held liable by you for any: "direct, incidental, consequential, indirect, or punitive damages arising out of your access to, or use of, the site or services. or product. Without limiting the foregoing, everything on the site is provided to you 'AS IS' WITHOUT WARRANTY OF ANY KIND, EITHER EXPRESSED OR IMPLIED, INCLUDING, BUT NOT LIMITED TO, THE IMPLIED WARRANTIES OF MERCHANTABILITY, FITNESS FOR A PARTICULAR PURPOSE, OR NON INFRINGEMENT. Note: If you're uncertain of anything we say, rather don't use our site or contact us for clarification to your satisfaction before doing so. We do our best to insure that the website is available 24 hours per day but we cannot be held liable if for any reason the site is not available. Basically what's said there applies here to. Anything you post in the site or bulletin board or anywhere else and disclose, becomes ours and ours only. We can then do with it as we like and send it where we like or even make any products out of it and market them. Anything on our site and/or material and/or product content is either ours, or we are using it with the person's who had rights to it, permission. The information we provide on this website is not meant for distribution to, or use by, any person or entity in any jurisdiction or country where such distribution or use would be contrary to law or regulation or would subject us to any registration requirement in such jurisdiction or country. This includes any intellectual property violation against us or the lawful owner by you. Anytime you decide to click on any link to any site from our site, it doesn't mean that we have checked these other sites. You must link at your own risk. If you say or put up any information anywhere on our site or bulletin, you and you alone will be held responsible for any law you break by doing so. Bottom line: don't publish anything illegal on our site or try to offend anybody with any unlawful, libellous, defamatory, obscene, scandalous, inflammatory, pornographic, nasty or profane material. But don't worry...you can check for updates to this disclaimer or our policies at any time just by visiting this page. Of course the content of this website and all our course and/or product materials whether printed, recorded in digital audio or visual or other format or otherwise displayed by us or produced or sold or distributed by us in any way, is copyright protected so this means that it may not be copied or reproduced or sold, either in whole or in part, in any way or for any reason, or displayed on an public domain or site without our express written permission which must first be applied for and agreed to by us at our sole discretion. This site and any course materials is/are not intended for distribution, or use by, any person in any country where such distribution or use would be contrary to local law or regulation. None of the services or investments or products referred to in this website are available to persons residing in any country where the provision of such services or investments would be contrary to local law or regulation. It is the responsibility of visitors to this website to ascertain the terms of and comply with any local law or regulation to which they are subject. Any opinions, news, research, analyses, prices, or other information contained on this website or from any broadcast is provided as general market commentary, and does not constitute investment advice. AT and Toshko Raychev, as mentioned elsewhere herein also, will not accept liability for any loss or damage, including without limitation to, any loss of profit, which may arise directly or indirectly from use of or reliance on such information. By using the services and any products offered by AT, or using this website, the user agrees that the author, owners, employees, representatives, distributors shareholders, members and agents and any other entities associated with AT including and not limited to Toshko Raychev shall not be held liable for any direct, indirect, consequential loss or any damages whatsoever arising from this usage, or the use of any product, materials, information, signals, software, video or audio or digitally produced information, messages, manual, worksheet , instructions, alerts, directives etc and any other information contained in regard to its use and understanding. Use this site and the services offered by AT at your own risk. Neither a Guarantee of performance, results nor any anticipated Return On Investment is offered at any time. Past performance is no Guarantee of future results. 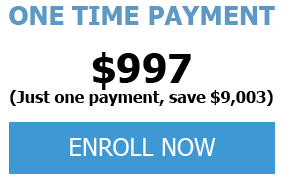 We provide educational software, expert advisors and learning materials only. A Floor Broker (FB) who purchases or sells any futures contracts or options on futures on any contract market for any other person. conducting any other business activity associated with NFA regulation or commodity Commission registration. 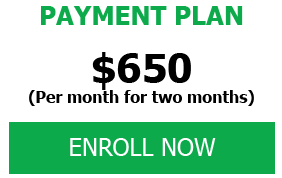 Access to any members area/ forum or password protected part of the components of the site that form part of the package are guaranteed for at least 6 (Six) calendar Months from date of purchase of the package. Before purchasing any product from any page on our website(s), you also agree to any specific terms as may be set out regarding any purchase and refund policy and procedure, shipping, carriage and/or delivery terms and payment terms and accept full risk for all same. The full price payable for the product and, if applicable, to shipping charges, by you will reflect on the merchant providers order form at time of consideration of purchase. You remain liable for any custom duties, ancillary taxes and costs of collection or delivery or redelivery other than any paid or born for by AT at the time of your purchase. AT reserves the right to not pay any such costs where it deems, at its sole discretion that it would be unreasonable for it to do so. We are in no way to be held liable and have no direct control over the shipping and receipt by you of the product. All risks associated with carriage and handling and shipping of the product are to be born at your own risk at all times. Shipping and handling times and quotes are estimates only and may vary depending on considerations beyond our control and, if so specified at any stage, are payable in addition to the product purchase price at the rates quoted, and are non-refundable on any return or in any eventuality whatsoever. All our content and membership sites are provided on a license basis only. Should any payments be validly refunded or membership of the site be terminated with you for any reason, then similarly the license to use or access our members area and any software including proprietary indicators expires. By purchasing the product and membership you agree to the license and all terms on this page and elsewhere on our site. 2. Attached proof that you shipped the product at your own cost to the return address provided when you receive the package or by request. II). The complete product is returned, in its original packaging, undamaged, and is confirmed as received at the return address, within the refund period at your cost. III). Should you have elected to have bought this product and membership access from us, with any 2 (two) or more payment option, then any refund given, shall be calculated on the actual payment made by you to the vendor at the time you request a refund, which shall be the maximum amount claimable for refund calculated at 60 days from date of first payment. IV). Should you have elected to have bought this product from us, with the Full or One (1) payment option, then any refund given, shall be calculated on the actual payment made by you to the vendor, which shall be the maximum amount claimable for refund. V). At all times the shipping costs and any ancillary costs or fees, as relates to delivery, shipment, carriage, handling fees, storage, taxes and any custom, excise and/or duties, Vat as may be applicable, either on or after purchase or return, are solely for the purchaser's own account, unless and on such terms as regards purchase as may be expressly set out during any promotion of the product, and are not due to be refunded or claimed from the vendor or its partners, at any stage and for whatever reason. VI). You shall not retain any copies of any portion of the product for use by you or for use by or distribution to, in whole or in part, any person, and will no longer have access to any member's area or private area or content which paid customers may be entitled to, upon a refund being processed. At any and all times the maximum claim that may be made by you against ourselves, whether in a single or class action or multiple claim action, including all costs and sundries, shall be limited to the amount which you actually paid for the product. You will receive Ultimate Profit Solution and agree to hold any information of any sort in respect thereof confidential at all times. You agree to hold confidential proprietary information or trade secrets, including inter alia; designs, links, passwords, software and methods, (“confidential information”) in trust and confidence and agree that it shall be used only for the contemplated purposes, shall not be used for any other purpose, or disclosed to any third party at any stage, present or future or resold by you to any party without our express consent. Confidential information shall not be disclosed to any employee, consultant or third party unless they are your immediate family in a domestic environment. Protection of secrecy. Recipient agrees to take steps reasonably necessary to protect the secrecy of the Confidential Information, and to prevent the Confidential information from falling into the public domain or into the possession of unauthorised persons. If it proves impossible to arrive at a mutually satisfactory solution through mediation, we agree to submit the dispute to binding arbitration at the following location: Umhlanga, under the rules of the Arbitration Foundation of South Africa and an arbitrator appointed by the Foundation. This statement and the policies outlined on this page are not meant to create any contractual or other legal rights on behalf of a visitor to the site. By becoming a member of our website or using it, you agree that you unconditionally accept this disclaimer agreement. Another very important note to add to the above: AT, its Directors, Members, Agents, employees, partners, including Toshko Raychev and representatives can't be held liable for any loses, injury or damages you may claim, and as per the laws of the Republic of South Africa or any other country. See our other policies and disclaimers to be read herewith in this regard. If any conflict in interpretation arises between these terms and conditions and any disclaimers or terms or policies on our site or any materials, the interpretation most favourable to AT shall survive and prevail. At all times any and all information on, or product purchased from, this website, is for educational purposes only and is under no circumstance intended to provide financial advice. All materials are an educational aid only. No guarantee is represented from any statements about profits or income, whether express or implied. As no trading system is guaranteed, your actual trading may result in losses. You will at all times accept the full responsibilities for all of your actions, including but not limited to trades, profit or loss. You agree to hold www.ultimateprofitsolution.com, Toshko Raychev, the site legal owners, joint venture partners, AT and any authorized distributors of this information at all times harmless in any and all ways. By using our product(s) this constitutes your acceptance of our user agreement. ClickBank is the retailer of this product. CLICKBANK ® is a registered trademark of Click Sales, Inc, a Delaware corporation located at 917 S. Lusk Street, Suite 200, Boise, Idaho, 83706,USA and used by permission. ClickBank's role as retailer does not constitute an endorsement, approval or review of this product or any claim, statement or opinion used in promotion of this product.